Bulawayo Regional Campus emerged the overall winners of the 6th Edition of the Zimbabwe Open University Vice Chancellor’s tournament. The tournament, which ran under the theme ‘Wellness through Sport’, was held at the Belvedere Teachers’ College in Harare recently. Disciplines that were competed in include netball, volleyball, darts, soccer, basketball and other indoor games. 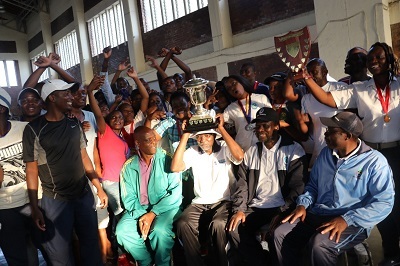 The Regional Campus dominated most of the sporting events, which saw them amassing a total of nine gold medals ahead of Harare the hosts and Midlands, who scooped five and four gold medals, respectively. However, Harare Regional Campus amassed a total of 20 medals all in all while Bulawayo Regional Campus scooped 17 medals. Speaking at the closing ceremony of the tournament, the Acting Vice Chancellor, Professor Alfred Ncube, said that the games brought the ZOU family closer, and that it was a good time to relax and share notes.